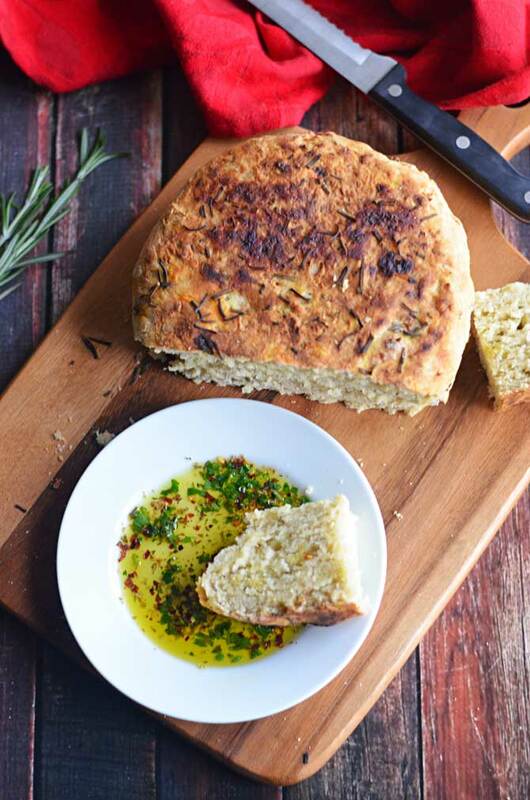 We all know Australian Extra Virgin Olive Oil (EVOO) is great for dipping bread into. It’s also a wonderful ingredient to use when baking the bread itself. You can swap in Australian EVOO for any type of oil when settling in for a bake-off. It tastes better, is suitable for all home cooking including baking, and has more health benefits than any other oils. Give these five recipes a try. Your dinner guests will thank you. 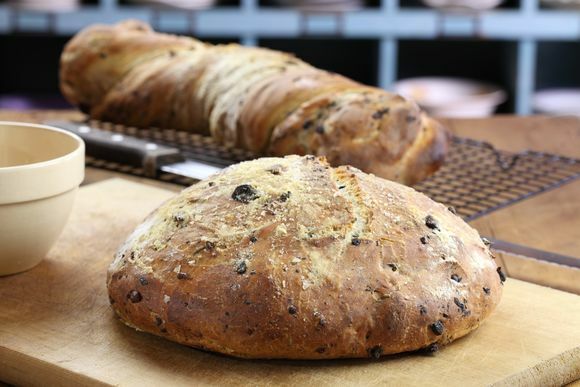 Maggie Beer makes a delicious olive bread using Australian EVOO. It’s simple to make and is a great way to master the art of making bread from scratch. When you’re done baking, eat it warm (dipped in Australian EVOO – naturally). This recipe is one for the time-poor. 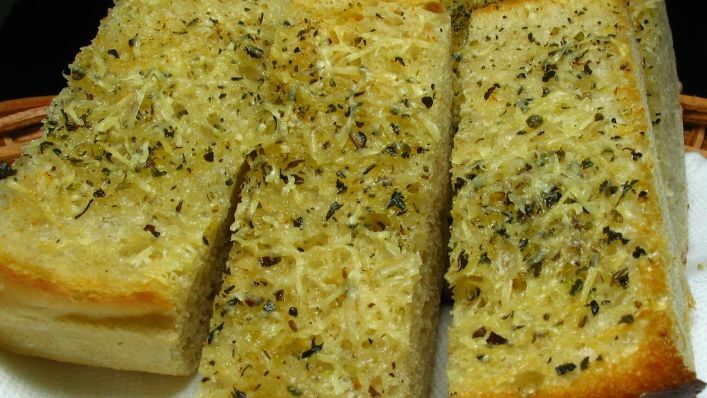 You don’t actually have to bake the bread from scratch – just pre-buy an Italian or French loaf of bread, split it lengthways, and slather it with the good stuff in life (Australian EVOO, crushed and powdered garlic, parmesan, and high-quality salt), then bake for 10 to 15 minutes. It’s quick, easy and tasty. For a healthier version, skip the salt and add fresh parsley and herbs to taste. Read the full recipe here. 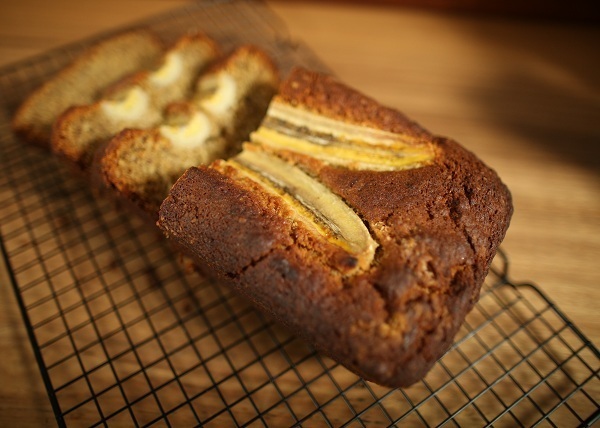 Cobram Estate produces wonderful certified Australian EVOO and this banana bread recipe (compiled by The Cook’s Pantry chef Matt Sinclair) is a winner. All you need is four large, ripe bananas, self-raising flour, bi-carb soda, desiccated coconut, two eggs, brown sugar, and Australian EVOO. It’s great fresh or as a tasty lunchbox filler. Happy baking! When Host The Toast food blogger Morgan posted her recipe for Rosemary EVOO Crock Pot Bread it was a hit. Not only is it crispy on the outside and soft on the inside, it’s vegan and a great accompaniment to salads, soups, or pasta. It’s simple, too. You don’t need any bread making experience or special kit. Just you, your kitchen, and some time (an hour-and-a-half for prep and two hours for cooking). She also includes a recipe for an EVOO Herb Dip, just make sure you use certified Australian EVOO for a healthy double-whammy. 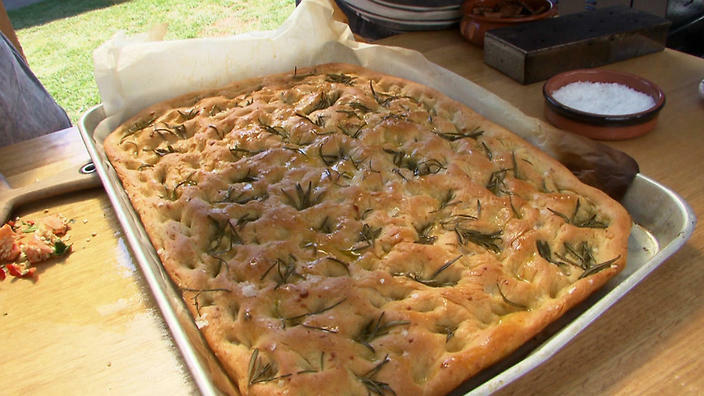 This focaccia recipe by chef Andre Ursini is Italian at heart but if you’re Australia-based use Australian Extra Virgin Olive Oil for the freshest, healthiest results. The recipe includes fresh herbs, semolina flour and a mashed Desiree potato. The mixture makes one large loaf or two small loaves. Make sure you save extra Australian EVOO for drizzling. It takes a total of 40 minutes to make. What are you waiting for? 1 teaspoon butter = ¾ teaspoon EVOO. 1 tablespoon butter = 2¼ teaspoons EVOO. ¼ cup butter = 3 tablespoons of EVOO. 1/3 cup butter = ¼ cup EVOO. ½ cup butter = ¼ cup and 2 tablespoons EVOO. For the healthiest EVOO make sure it’s certified and Australian EVOO.